2. Not Just Another Free Monthly Magazine — We’re Green, Local and Committed! Natural Awakenings is a niche marketing resource committed to connecting green and healthy living businesses in the Atlanta metropolitan area to health-conscious readers seeking a healthier, more balanced lifestyle. Natural Awakenings is always printed on recycled newsprint with soy-based ink ~ totally recyclable and even compostable. 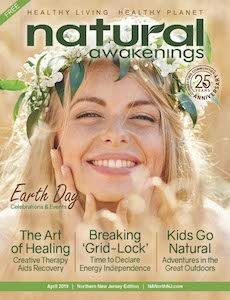 Natural Awakenings magazine is locally owned and locally produced. Call us at 201-781-5577 to advertise or to request a media kit with our rates. You may also send us an email by clicking here to our contact page.